Hemaris Dalman, 1816, K. svenska VetenskAkad. Handl. 1816(2): 207. 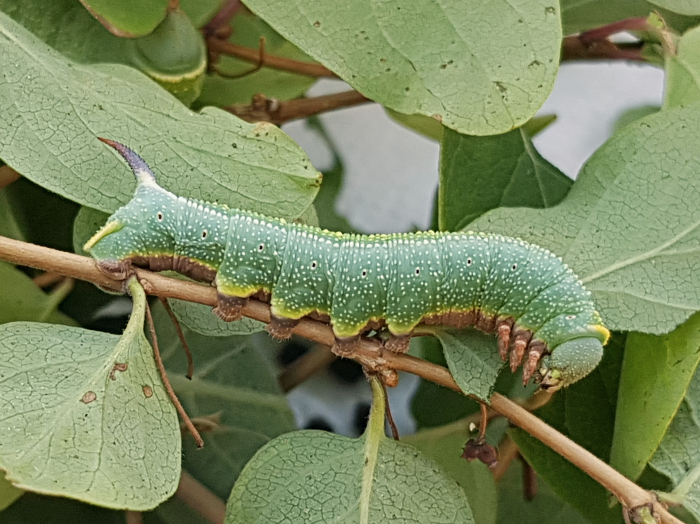 Type species: Sphinx fuciformis Linnaeus, 1758. Hemeria Billberg, 1820, Enumeratio Insect. Mus. G.T. Billberg: 82. Haemorrhagia Grote & Robinson, 1865, Proc. ent. Soc. Philad. 5: 149, 173. Aege Felder, 1874, in Felder & Rogenhofer, Reise oest. Fregatte Novara (Zool.) 2 (Abschnitt 2): pl. 75, fig. 6. Chamaesesia Grote, 1873, Bull. Buffalo Soc. nat. Sci. 1: 18. Cochrania Tutt, 1902, Nat. Hist. Br. Lepid. 3: 503. A Holarctic genus consisting of about 17 species. IMAGO: Small, diurnal and resembling a bumble bee in shape. Forewing with hyaline areas or fully scaled, although in those species which do have hyaline areas, these may be covered initially by deciduous scales which are lost during the first flight. Tips of veins R2+R3 and R4 of forewing united. Rs and M1 of hindwing on short stalk, or from common point on the cell. Cell short, but twice as long as broad; M3 and Cu1 always separate. Antenna strongly clubbed in both sexes, thin basally and abruptly narrowed before apex and forming a slender, recurved hook. Lateral hair-scales of frons hanging down to eye. Abdomen with large 'fan-tail'. Segment-margin scales spinose and strongly developed, flat and arranged in several rows, those of the first row rounded, and broader than long. (These spinose scales are on plates which can be removed leaving a semi-membranous unit below.) Seventh abdominal sternite of female with entire apical margin spinose. Midcoxa triangularly widened posteriorly; tip of dilated part sharply pointed and directed away from body. Hindcoxa similar but obtusely broadened. Foretibia with few spines at apex. Pulvillus and paronychium variable. Genitalia. Asymmetrical in male. Uncus divided, the two lobes subequal, heavily sclerotized, with rounded apex. Gnathos with either two long processes or with the right process absent. Right and left sacculi and valvae differ; left sacculus always vestigial; right often clavate and enlarged. Aedeagus slender with distal part developed as a slender lobe. Ostium bursae of female angled to left. OVUM: Small, spherical, pale glossy green. LARVA: Small, cylindrical, distinctly granulose, the granules often with small bristles. Many different colour forms exist, the most common being green and brown; all have a distinctive, pale, dorso-lateral, longitudinal stripe from head to horn. Ventral surface darkly coloured. 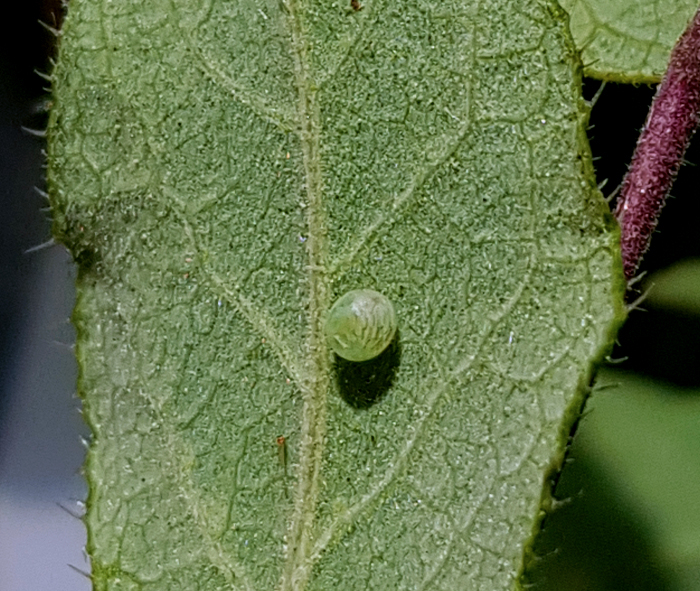 PUPA: Rugose and glossy in most species. Proboscis keeled. Alongside each eye a prominent tubercle, or hook, present. Cremaster large, flattened, triangular, with a pair of apical spines and a few lateral ones. In a loosely spun cocoon. HOSTPLANT FAMILIES: Mainly herbs and shrubs of the Dipsacaceae and Caprifoliaceae. 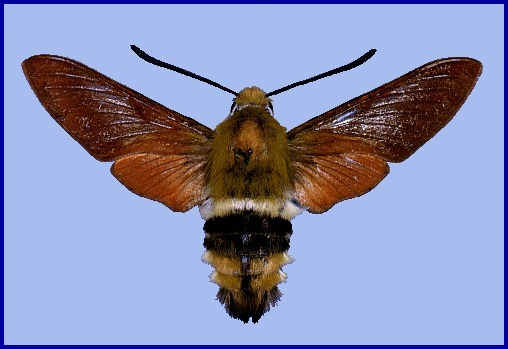 Hemaris rubra Hampson, , Fauna Br. India (Moths) 1: 120. Type locality: Sind and Gurais [Gurez] Valleys, Kashmir. Wingspan: 44--58mm. Wings almost entirely covered with reddish brown scales. Male genitalia similar to those of Hemaris croatica (Esper, 1800) and Hemaris tityus (Linnaeus, 1758), but process of right sacculus longer. However, in ecology, biology and overall morphology much closer to Hemaris ducalis (Serge Yevdoshenko, pers. obs. 2018). Diurnal. 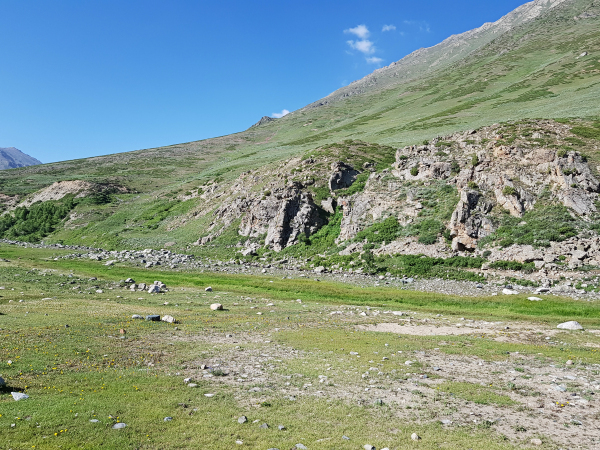 A species of flower-rich meadows at around 2500m. Univoltine; from mid-June to early August, i.e. the short interval between the spring and autumn snows (Serge Yevdoshenko, pers. com. 2018). OVUM: Typical Hemaris, becoming transparent just before hatching, with the pale, bristly larva showing through (Serge Yevdoshenko, pers. obs. 2018). 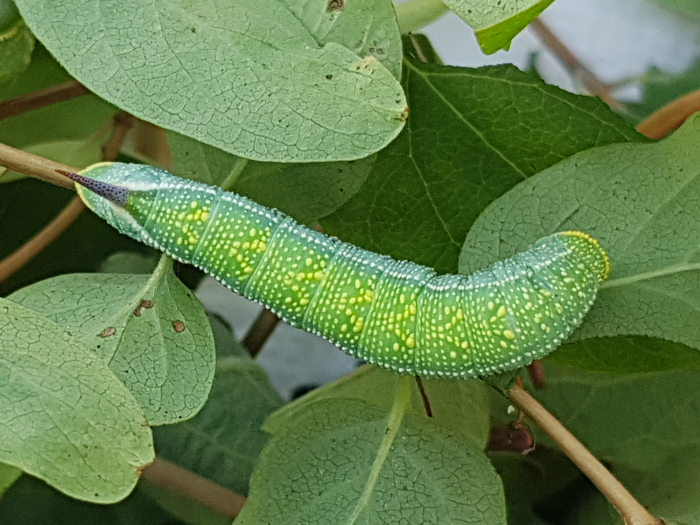 LARVA: Very similar to that of Hemaris ducalis, but with the dorsal yellow 'X' markings less pronounced. Newly hatched larvae are very pale, almost white, and very bristly (Serge Yevdoshenko, pers. obs. 2018). Hostplants. Species of Lonicera (Serge Yevdoshenko, pers. obs. 2018). PUPA: 37mm. Blackish-brown, rugose, very similar to that of Hemaris ducalis. The overwintering stage. 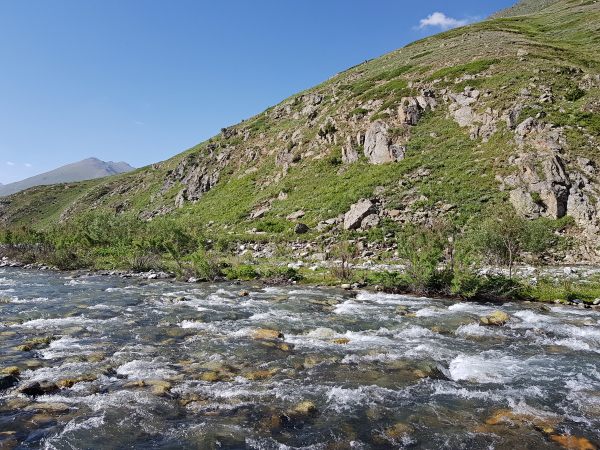 Currently known only from a number of valleys in Kashmir (Bell & Scott, 1937; Rafi et al., 2014) and Gilgit-Baltistan, Pakistan (Serge Yevdoshenko, pers. obs. 2018).